Wish you could wake up with eyebrows like Megan Fox? Don’t we all but, for many of us, we weren’t blessed with gorgeous, thick eyebrows. Heck, maybe we were but after years of plucking and waxing, they are now just thin and misshapen. 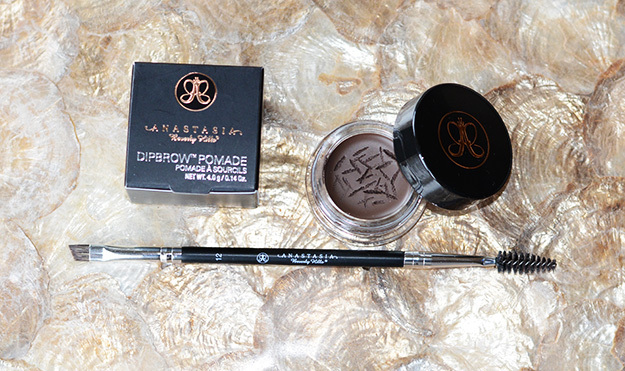 I’ve tried a number of eyebrow fillers over the years and this new Dipbrow Pomade from Anastasia Beverly Hills is my fav, especially for the summer or a special event. This gel-like brow filler is to be used with the #12 Anastasia Brow Brush. It stays on all day even in the most hot and humid weather. Next, brush your eyebrows upward and follow your eyebrows underneath the same way you did on the top. Now simply color in between the lines! 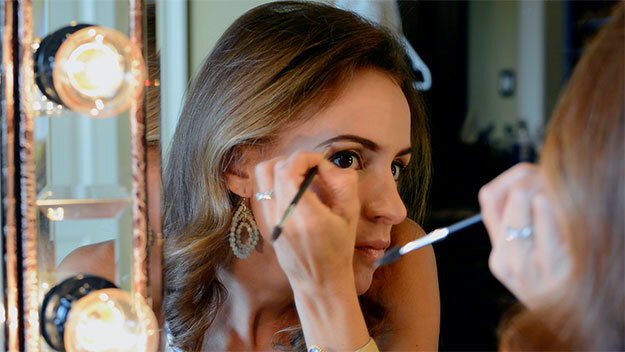 Use short, fast strokes and have a Q-Tip handy in case you stray too far away from your natural brows. A little trick I like to do too is to extend my line a little past the natural tail of eyebrow, it really creates a nice finish to your arch. Finally, use the brush side of the #12 Anastasia Brow Brush and brush over your entire brows to remove excess product. Finish with a coat of clear mascara and a little highlighter under your brows for perfect Megan Fox-esque eyebrows!